These are the pedals that customers and bike show booth visitors have been asking for since early 2017. Now they’re finally in stock. 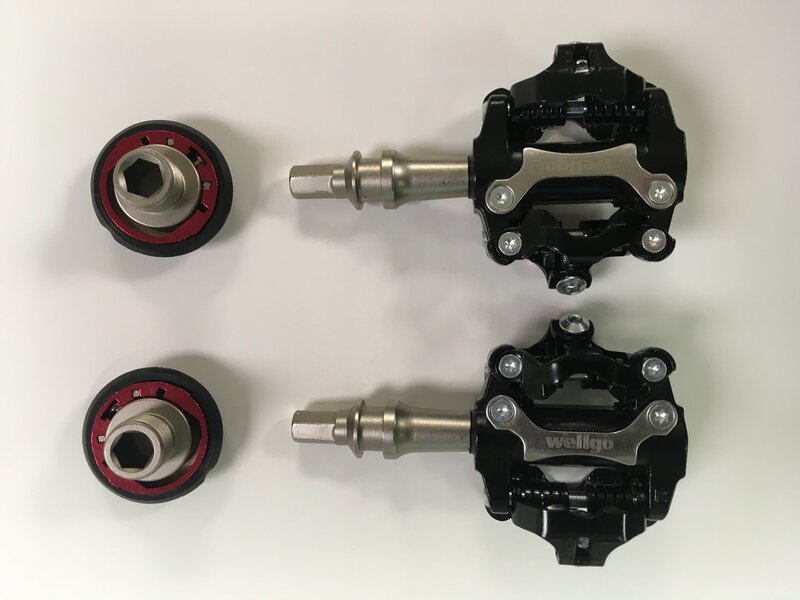 These pop-off pedals use the same Wellgo quick-removal system as our other Wellgo pedals–different, more rounded latch, but the same internal system. This means that you can swap between SPD and flats, or SPD and MTB pedals, literally in seconds, with no tools. NOTE: All CHANGE bikes already come with one set of standard pop-off pedals as standard equipment. When ordering a bike, if you want a second set, of whatever type, add it in your cart. If you want a different set, like these INSTEAD of flats, when ordering a bike, just mention it in the ordering notes. We’ll do a one-for-one swap out and install this set, ignoring the cost difference. Just like regular SPD pedals, but these can get swapped out for flats in seconds.